It’s just over an inch-and-a-half across, less than an inch high, and weighs less than half an ounce. Yet despite its diminutive package, the SKEYE Nano 2 FPV Drone sports a list of credentials that put many larger models to shame. Right now, you can pick up the world’s smallest camera drone for under $100 — just $99 (a regular $129 value) from TNW Deals. Just pick up the included controller or sync it up to your smartphone, push a single button to launch — and you’re flying. The Nano 2 is incredibly responsive, powered by a 6-axis flight control system with adjustable gyro sensitivity that allows for true aerial precision. Within minutes, you’ll be pulling flips, loops, and sharp angle veers like a veteran. 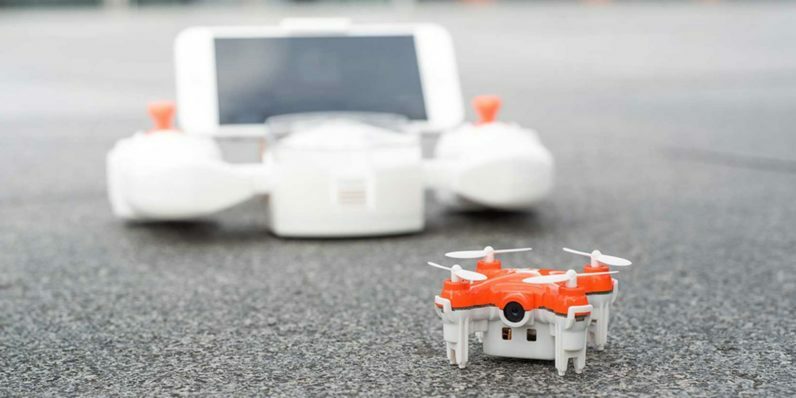 And don’t let the Nano 2’s tiny size fool you… this craft carries an HD-capable, Wi-Fi-controlled camera that can even shoot back ridiculous aerial images in real time. Enjoy your aerobatics as they happen or record them to show off to your friends as you recount your exploits. The SKEYE Nano 2 FPV Drone ships anywhere around the globe… and at $30 off its regular price, now’s the time to jump on this limited time offer.